Cemex has been fined £200,000 after a worker was killed by a blast at its Rugby cement plant. Peter Reynolds,28, of Rugby died on 15 January 2008 when the force of the explosion blew him through the side of the building onto the road ten metres below. 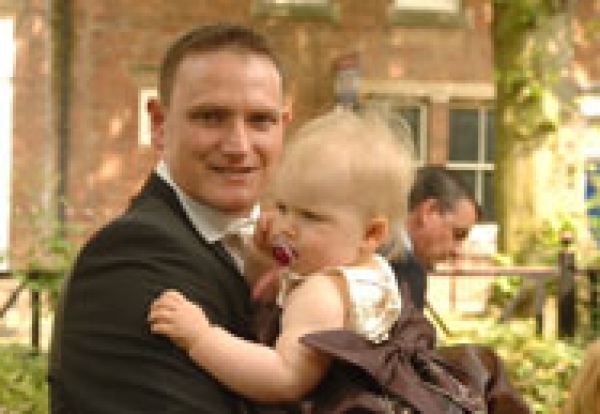 Leamington Spa Crown Court heard the married man, whose daughter Kayleigh was 18 months old at the time of his death, was treating waste cement dust in the bypass dust plant at the company’s Rugby Cement Works in Lawford Road. While he was clearing a blockage in the lower mixer, there was a violent explosion of steam and dust from inside the machine. An HSE investigation into the incident found that Cemex had recognised the potential for blockages to cause explosions as steam pressure built up within the mixer, but took no action to prevent them. The court also heard the company had failed to review its risk assessment following a previous incident in May 2006, when another man was injured using the same machine. This explosion bent a metal-cladded external wall, pushing it out by 50cm. Speaking after the hearing, HSE Principal Inspector Neil Craig said: “This was an entirely avoidable tragedy, which has left a young family without a husband and a father. “If Cemex had investigated the previous incident properly, Mr Reynolds would still be alive today. “Cemex’s protection against the build up of pressure was for the plant to be continuously vented when processing waste cement dust, but it frequently blocked. These blockages then caused steam to build up to a high pressure. “The company could have made a number of changes to the mixer to reduce the flow of dust and improve the venting and cooling systems, or devised a new system of work. However, no action was taken and employees were expected to operate this dangerous piece of machinery. Jane Reynolds, Peter’s mother, said: “Peter was a wonderful son, husband, father, brother and uncle. His early tragic death has left a hole in our lives that will never be filled. Cemex pleaded guilty to health and safety breaches and was fined £200,000 and ordered to pay £172,000 costs.